I knew stalking JP (as I affectionately call her) would pay off! And it has paid off, big time! 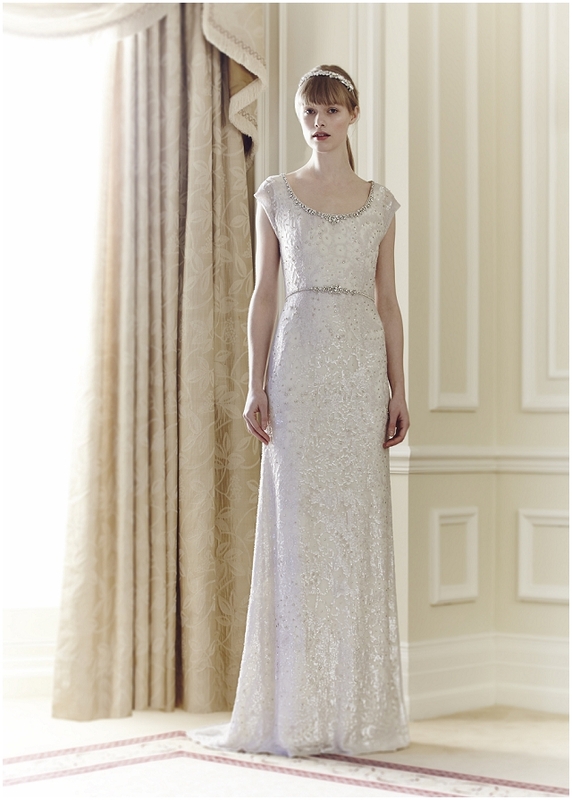 Here we have an exclusive sneak peek of Jenny Packham’s Spring / Summer 2014 Collection. Ooo yeah… I’m talking this gorgeous collection is not even being unveiled in New York until later this year. Inspired by The Belle Époque era, Jenny brings us a mix of beautiful Art Nouveau and Edwardian influenced bridal gowns. Flowing chiffons, intricately embellished with sparkling antique crystals, beautiful silk flowers and exquisite french lace. 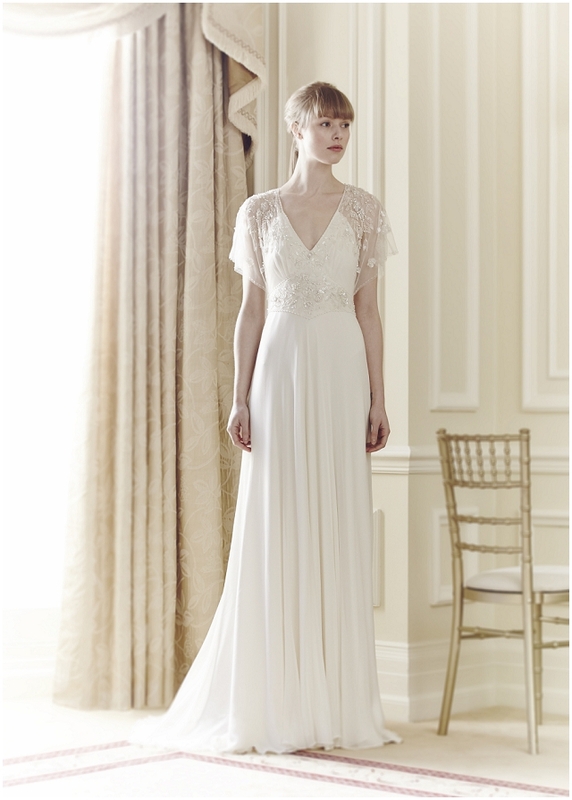 Jenny Packham’s 2014 Bridal Collection is inspired by the Belle Époque era of the early 20th Century. A statement of romantically soft, feminine design, the collection encapsulates the spirit of Edwardian style and the Art Nouveau movement which defined it. The Belle Epoque or ‘beautiful era’ transformed fashion, abandoning restrictive corsetry and creating the flowing silhouette ever since associated with the Age of Elegance. Intricate, light beading, delicate embellishment and clean, understated silhouettes play homage to an Edwardian inspiration, whilst romantically volumous ballerina skirts, graceful tulle sleeves and elegantly exposed backs bring to mind a very modern bride, evoking scenes of a chic European destination wedding. Available in ivory, champagne and magnolia, luxurious silk mikado, sumptuous draped chiffons and exquisite French lace are adorned with delicate silk flowers and twinkling crystals in a spectrum of antique metallic silvers and champagnes. Jenny Packham continues to be the red carpet designer of choice, dressing the world’s most glamorous and discerning women from Catherine Zeta Jones, Angelina Jolie, Amy Adams and Cameron Diaz to Kate Winslet, Diane Kruger, Dita von Teese, Kate Hudson, Oscar winner Adele Aitkins and The Duchess of Cambridge. This stunning collection will be available to try on in wedding boutiques from August onward! Exciting times for all you Jenny Packham fans. I’m loving the blush gown, how about you?